Germany is a popular tourist destination with good reason! One-third of the country is covered in a forest that is literally the stuff of fairy tales. It also has thousands of types of sausages, so how could we stay away? 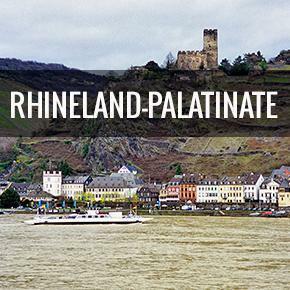 A country of poets, composers, and thinkers, Germany offers passion and romance. If a contemplative journey down the Romantic Road or through the Black Forest isn’t in your ideal travel itinerary, you may find urban adventure in Munich or Berlin, or enjoy a relaxing cruise on the Rhine with a glass of Riesling (or two). Germany is a Western European country bordered by The Netherlands, Belgium, and Luxembourg to the west; France to the south-west; Switzerland and Liechtenstein to the south, Austria and Czech Republic to the south-east; Poland to the east; and Denmark to the north. Germany has 2,389 km (1,484 mi) of coastline on the North and Baltic Seas. Food You Must Try: Spätzle: A soft egg noodle dish, traditionally prepared to accompany meat dishes with rich sauce. Bamberg, Germany is a UNESCO World Heritage Site just two and a half hours north of Stuttgart. 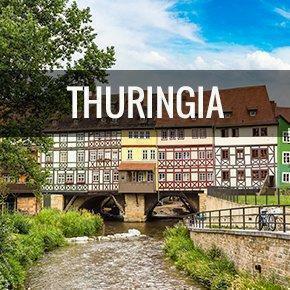 Because Bamberg extends over seven hills, each crowned by a church, it’s also known as the “Franconian Rome.” For a little town, Bamberg has a lot to offer to its visitors and makes an excellent, family-friendly weekend getaway destination. Kölner Dom in Cologne (or Köln), a Roman Catholic cathedral and UNESCO World Heritage Site, presents an artistic work of genius, with its detailed and revolutionary Gothic architecture. If you are in good shape, the climb up the south tower will provide you with memorable views of the city. The Cologne Cathedral is often said to be the sightseeing highlight for many visitors to Cologne. Back in 1960, when post-war Germany was desperate to rejuvenate the travel industry, the Romantic Road came into being. 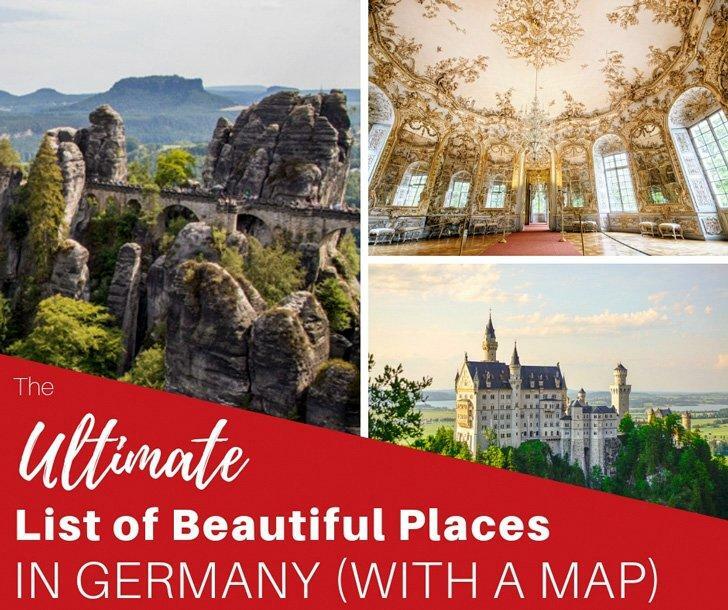 Although a modern invention, the Romantic Road delivers what it promises – a beautiful route of towns, stretching from Würtzburg to Füssen, which manage to retain their ancient characteristics and beauty. Rothenburg ob der Tauber is a UNESCO World Heritage Site that brings the Middle Ages and the Renaissance to life, before your eyes. You can experience the unique atmosphere of Rothenburg ob der Tauber when you stroll through town. Pfahlbaumuseum is an open-air archaeological museum, and a UNESCO World Heritage site, reconstructed directly on Lake Constance, in the town of Uhldingen-Mühlhofen (a day trip from Stuttgart). It depicts the lives of the people who lived there in the Stone and Bronze Ages. Surely, you’ve all heard of Mardi Gras in New Orleans or Carnival in Venice. 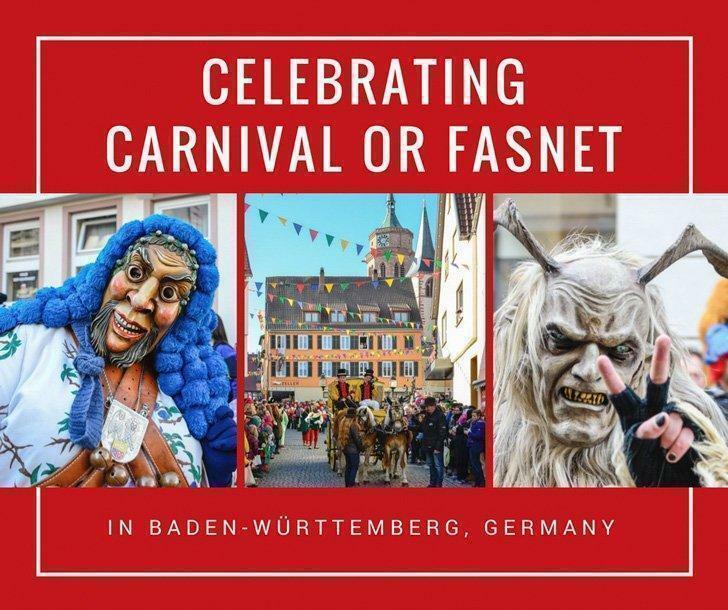 Carnival or Fasnet in Baden-Württemberg, Germany is Germany’s Mardi Gras or Carnival, called Karneval in German. Colourful costumes and elaborate parades are part of the annual festivities. The carnival season starts on 11 November at 11:11 a.m. and ends on Ash Wednesday of the next year with the main celebrations happening around Rosenmontag (Rose Monday). Germany is well known for being party central, in Europe, with hundreds of festivals, big and small, from which to choose. We like the big festivals, for their abundant variety of food and fun. 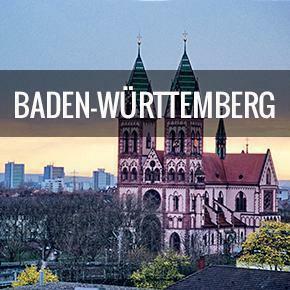 Here are 7 of the top festivals in the Stuttgart area of Baden-Württemberg in Southern Germany. 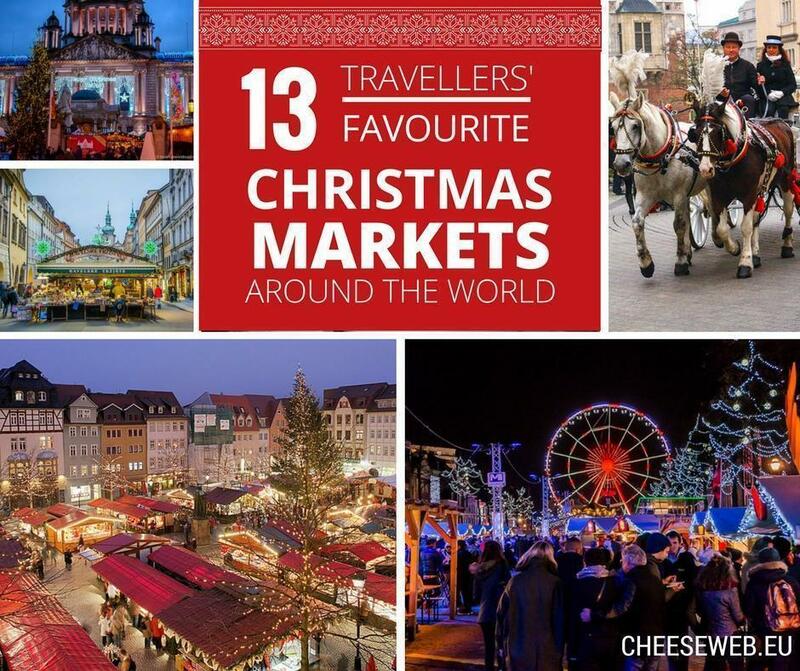 Our favourite winter activity is visiting Christmas Markets. Nothing makes us feel more festive than perusing decorated stalls filled with handcrafted goods while sipping a glass of mulled wine and eating a grilled sausage. In Germany, the Christmas season is filled with gorgeous Christmas markets, twinkling lights, mulled wine, and sweet treats in many German cities, large and small. 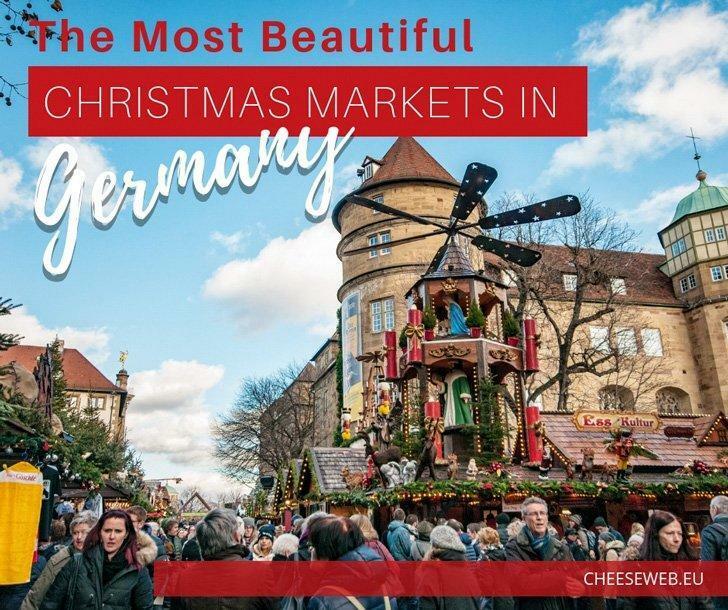 Visit as many of the German Christmas Markets as you can as you can never say ‘if you’ve seen one you’ve seen them all.’ Each market is unique in its own way, and they do not disappoint. 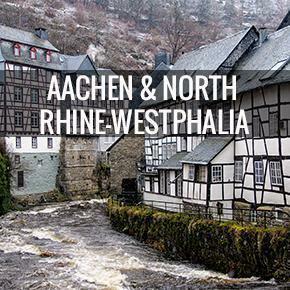 Germany’s Black Forest is home to the country’s highest waterfall, the Triberger Wasserfälle. These spectacular rapids plunge to a depth of 163m over seven cascades. While visiting Triberg, you must also visit the two (yes, two) world’s largest cuckoo clocks. Berlin offers many opportunities for the lifelong student of art and history. 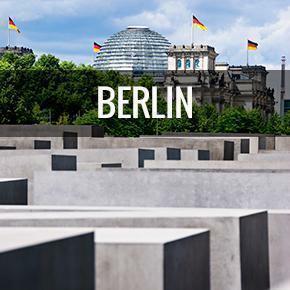 Visitors can see the remnants of the Berlin Wall, as well as memorials of the Holocaust and WW2, both artistic and architectural. Respite and reflection on these profound experiences can be found in Berlin’s excellent food and drink. 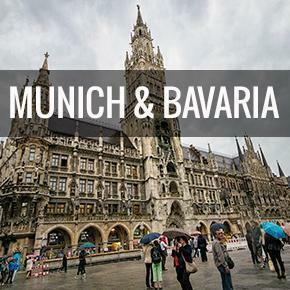 Munich is the capital of Bavaria and signs of its artistic tradition are visible throughout the city. 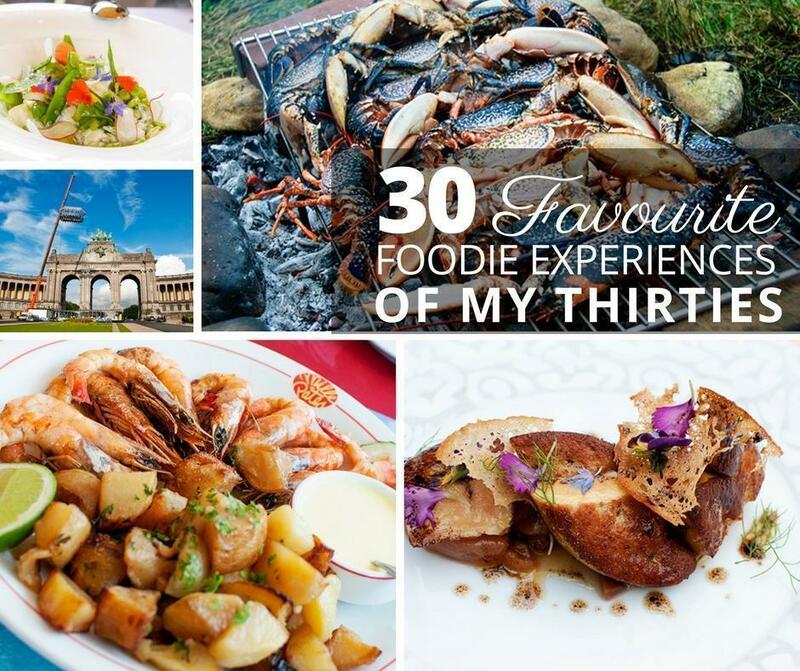 Of course, you can experience traditional food, culture, and architecture in places like the Hofbrauhaus, mentioned in our article on Munich’s top foodie destinations. However, Munich’s traditions run deeper than its beirgartens and Oktoberfest. Munich innovates in fashion, architecture, and industrial design; it radiates an entrepreneurial spirit and creative flair. Remember the Grimm Brother’s Hansel and Gretel? Germany is one-third forest and woodlands, be sure not to end up in somebody’s pot! You’ll need to wash all that beer down with something – lucky for you; there are said to be over 1000 types of sausage and 300 types of bread in Germany. Although the number of zoos differs depending on the definition in use, Germany has hundreds of unique places to visit wildlife. Berlin’s Zoologischer is one of the oldest and largest zoos in Germany and well worth the visit. Alison says: Although we’ve made many trips to Germany we feel we’ve barely scratched the surface of this often stereotyped nation. 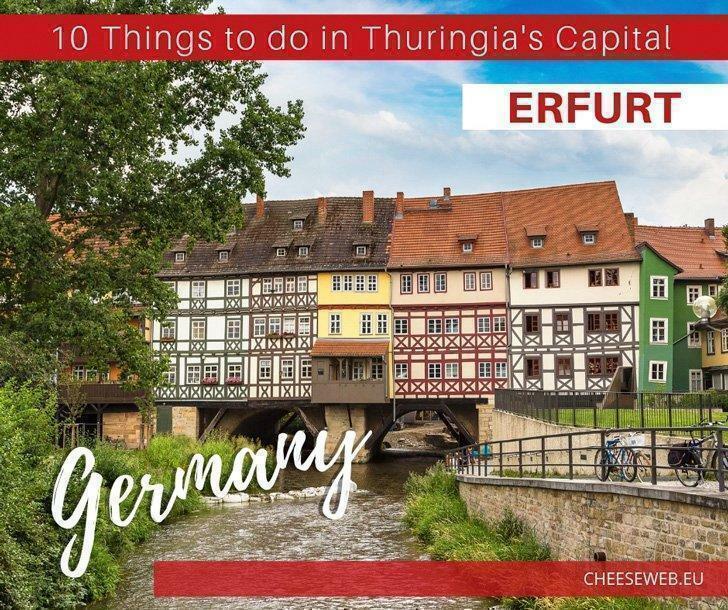 While you’ll find your fair share of biergartens, sausage, and lederhosen, there’s so much more history, culture, and nature to discover – not to mention cutting-edge design and innovation. Germany is a country that honours its traditions but is in no way stuck in the past.